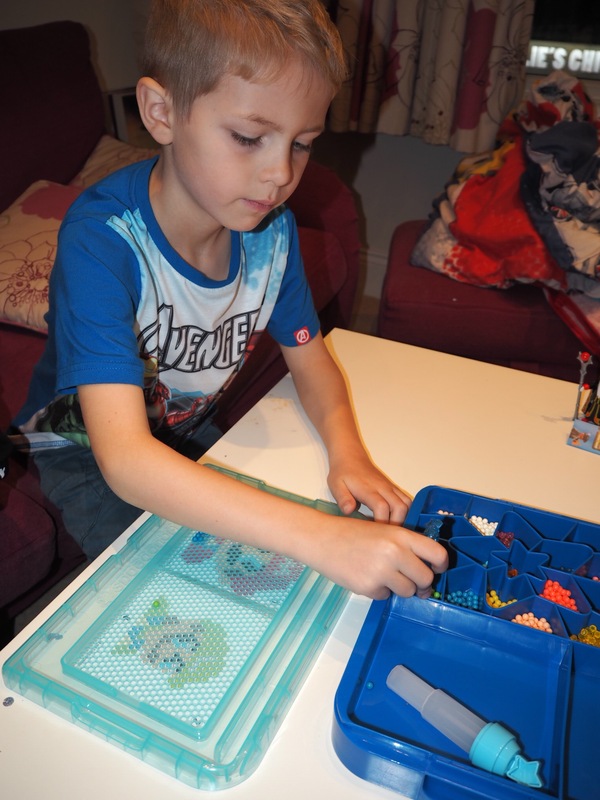 Aqua Beads are fast becoming a popular activity amongst children of all ages. 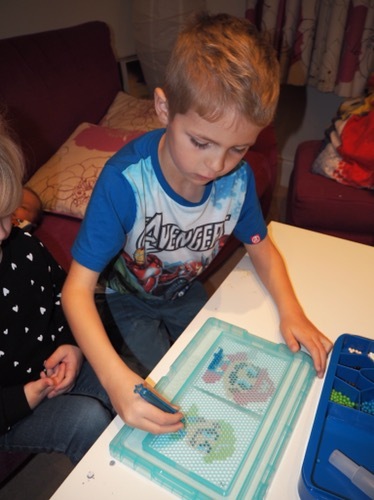 The kits allow kids to create pictures using the included multicoloured beads and magically preserve them using just water. 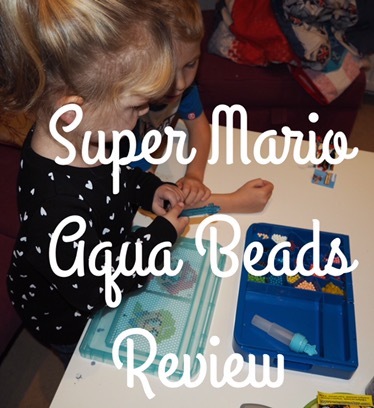 My children love crafts at the moment so when the lovely people at Aqua Beads offered to send over a Super Mario kit for my little minions to review we jumped at the chance. 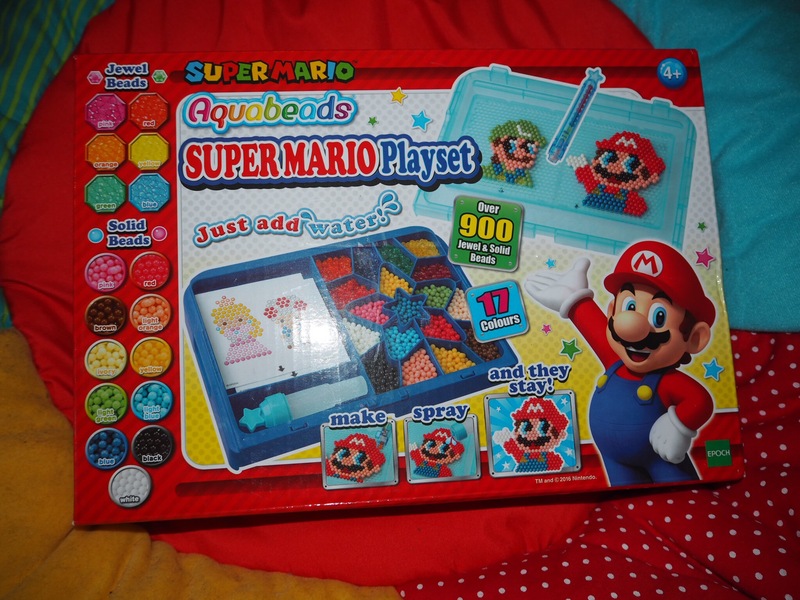 The kit arrived quickly and the children were very excited to open the box up and start making. Mummy was boring and insisted on reading the instructions first (and taking several shots for the blog, but they’re used to that by now). The instructions are very clear and easy to follow and include precautions to prevent your carpets or clothes getting ruined. With me satisfied we knew what we were doing, the children got to work. Cameron knew exactly what to do and helped his sister to get the hang of it and join in. I was amazed that they were working together on something rather than fighting over it. This is unheard of in our house at the moment! I love things like this that actually involve the children using their creativity, it makes a change from Cameron playing on Minecraft on the XBox. 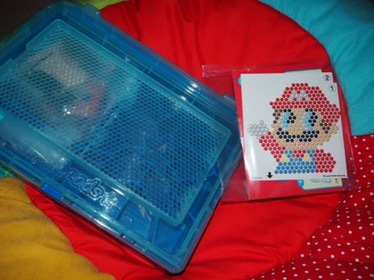 Unfortunately our kit didn’t appear to have the correct amount of beads for the design the children had chosen, so instead they had to opt for a different one, which was a little disappointing. However, the children still enjoyed making their creation and before long they were ready to add the water. They loved this part and, I’ll admit, I was quite impressed myself at the ‘magic’ water preserving their masterpiece. 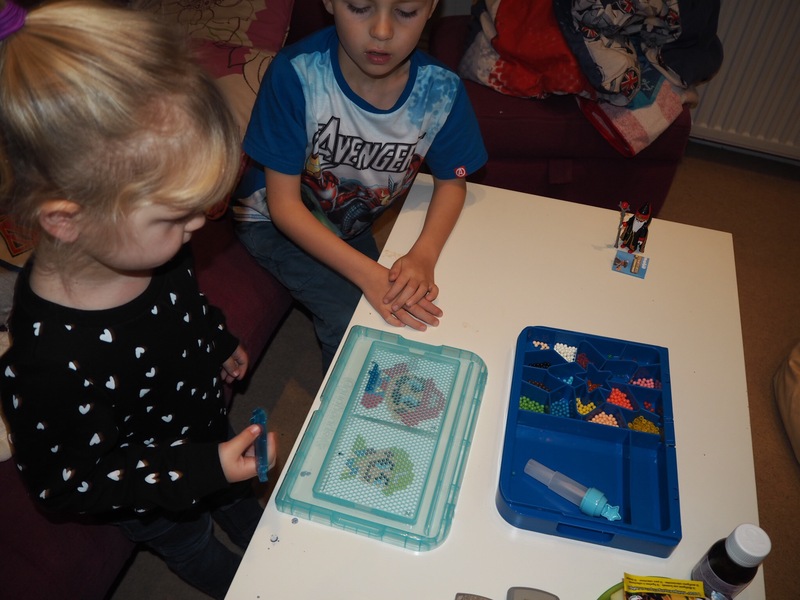 One thing we would have suggested to improve the kit (other than having enough of the red beads) would be to have an additional bead applicator as the children would have easily been able to work alongside each other if they had two of these (although it’s not a huge deal as they did take turns sharing the one they had). 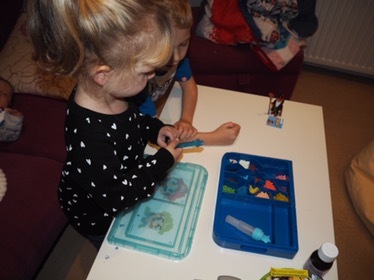 Overall the children had an enjoyable time with the kit and I would definitely consider buying them another in the future.